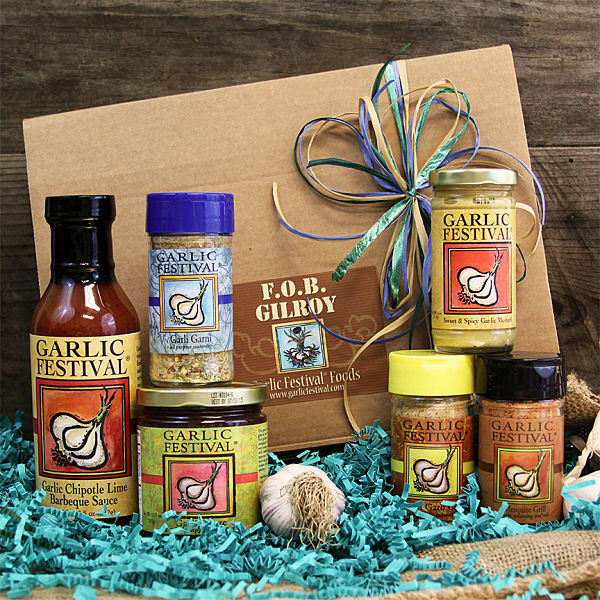 A box chock full of our most popular products including our new hit, Garlic Chipotle Lime BBQ Sauce, our ever popular Spicy Apple Garli Glaze, and our famous Garli Garni All Purpose Seasoning. 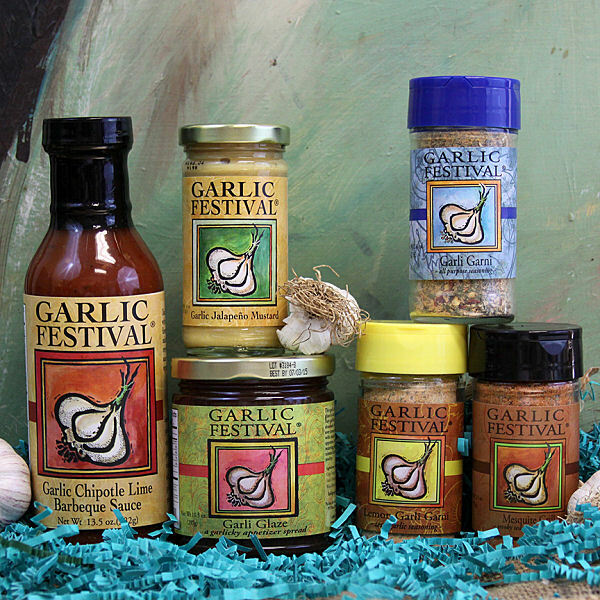 This gift pack also includes your choice of one of our garlicky mustards and two additional Garlic Festival Seasonings of your choice. 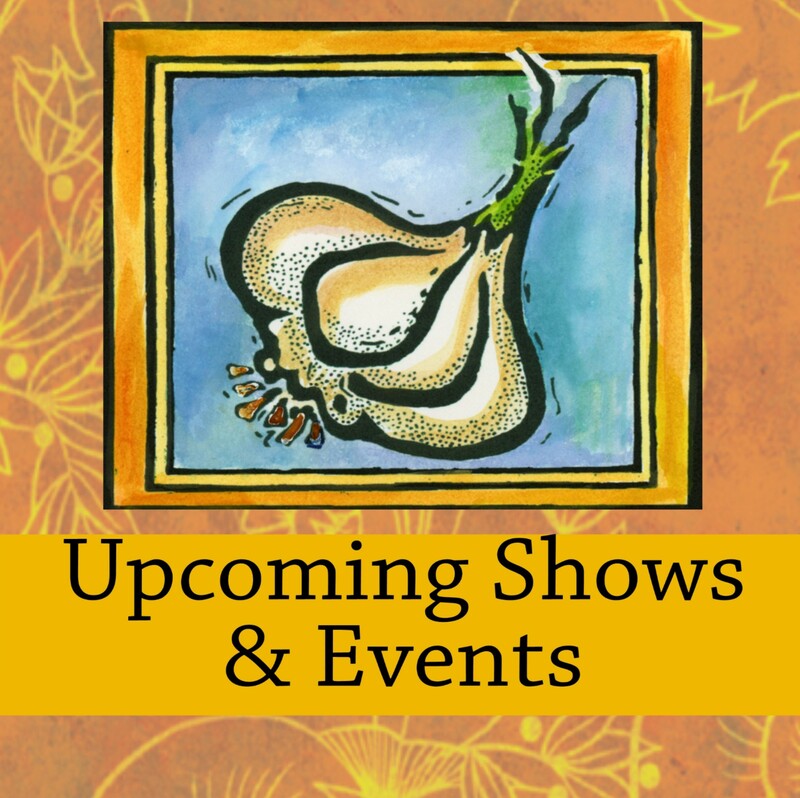 Top it all off with a fresh bulb of Gilroy garlic (available only during harvest season) and recipes in a gift box. Don't start cooking without it! Glarlic glaze a hit at all my parties.